Well done to the four SA rural Liberal MPs who crossed the floor. It's refreshing to see MPs voting in accord with the wishes of their constituents. I encourage more politicians to listen to the people and vote accordingly and not blindly on party lines. I wish the new Unley Council the best in its deliberations over the next 4 years. With so many new Councillors (and so many women) the old apple cart will frequently be up-ended. It will be interesting to reflect on as an observer. Over the next 13 months, the most important issue (by far) for Unley Council is the rebuilding of King William Road; how to do it and retain a high level of business for the local traders. It will be a tough and consuming task. Already the traders are anxious and expressing concern about forecast hard times. There have been public calls for compensation for lost trade. That won't happen. Council won't go down that path. It certainly didn't for Goodwood Road. We don't need a tax on red and processed meats. Supposedly because it is bad for us. This is ridiculous. 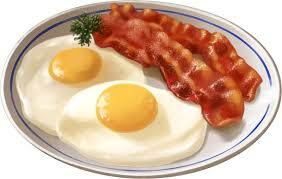 Sure, we recognise that too much red meat and bacon is bad for us and over time we have been reducing our intake. Statistics show this trend. Here's hope that eating so much chicken and more vegetables doesn't adversely affect our health. We don't need a new tax to help us reduce consumption. Some months ago I attended a half day plant grafting workshop. I went home full of enthusiasm and grafted plum on plum, white peach on yellow peach, avocado on avocado and pomegranate on pomegranate. I discovered that avocados are best grafted in late November in Adelaide. But I had given up on the pomegranate graft attempt. It wasn't looking hopeful. I remember just how hard the wood was; and the plant stalk was a bit thicker than I would have liked. Nothing seemed to be happening. Yesterday it was pure joy to discover that the graft had taken and had several shoots. The type of pomegranate I grafted is called 'Wonderful'; a modern and sweeter fruit with better eating seeds. Over time I will make this graft dominate the tree. It was a sad day to see the Dardanelles Cenotaph uprooted from the South Parklands and transported to a side street in Adelaide. Over the past year I had joined local residents in Adelaide and Unley to protest the planned removal. It had been paid for by the Unley (and Adelaide) widows of soldiers killed in the Dardanelles. It was the first WW1 memorial. Funded 100% by local residents. It was a travesty by the Adelaide City Council. There was no real consultation. May Adelaide City Council hang its head in shame. 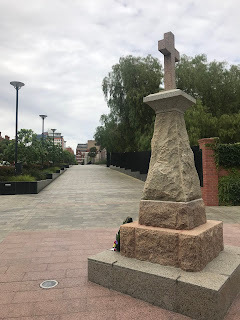 The Dardanelles Cenotaph, uprooted and plonked in a side street in Adelaide. Compared with where it was, it looks so out of place. This is a fantastic initiative that started in pubs in Scotland with a 'ask for Annie'. It has finally caught on in Australia, and now in SA. 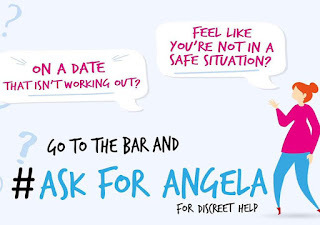 If you're on a date at a hotel and feel uncomfortable or unsafe and want help or a discreet exit, then approach hotel staff and 'ask for Angela'. Hotel staff are being trained to assist you to escape an awkward situation eg. taken to a private room and a taxi called. The scheme was designed primarily for women, but anyone asking for Annie will be assisted. It was sad to hear of the death of Sisto Malaspina, killed by a terrorist in front of his Pellegrini's coffee shop in Bourke Street, Melbourne. He was a mate; a friend to all who visited. He remembered you after years of absence; and after only a few occasional visits to Melbourne. I had the pleasure of having coffee (many short blacks) with him earlier this year. When in Melbourne, a visit to Pellegrini's was always my priority. Pellegrini's will continue as an institution (because the coffee is just so good; simply the best) and the family will maintain that special relationship with the clients. RIP (far too early) my friend. A week to go before the Council election votes are counted. 50% of the forecast votes have been received. (In general about 30% of people vote.) If you have not yet voted, then be quick to beat the deadline. Votes must be received by Friday 09 November. If you leave it too late to post (and remember it may take 2-3-4-5 days to get there) then you can drop your votes off at the Unley Council. Your vote could just determine who gets elected.